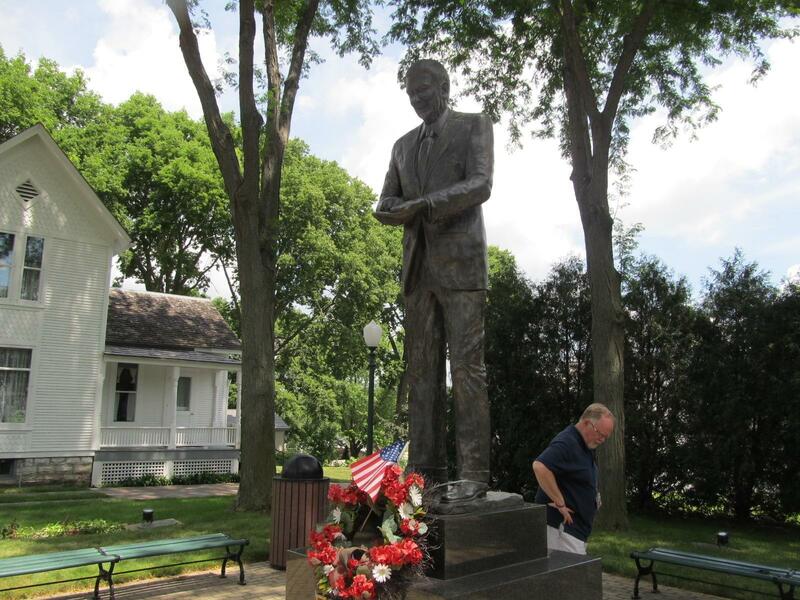 Site director Patrick Gorman inspects the grounds adjacent to the Ronald Reagan boyhood home in Dixon. A couple of years ago, Ronald Reagan’s first boyhood home in Dixon was, as The Washington Post put it, “falling apart.” Today, things are looking much better. But the museum’s director says there’s still more to be done. On a hot July afternoon, Ronald Reagan Boyhood Home volunteer Sheryl Yard gave a tour of the two-story 19th Century frame house on Hennepin Ave. where the Reagans lived from 1920 to 1923. A foundation was set up to restore and manage the house soon after Ronald Reagan was elected President in 1980. Yard said they went to great lengths to make it as close as possible to how it was when Jack Reagan, his wife Nelle, and their boys Neil and Ronald lived there. She pointed to the wallpaper. Like in a lot of old houses, there were many layers. "They took the paper off, sent it to President Reagan and his brother and said, ‘which layer did you have?’" she said. "And they replicated that. I think it’s pretty impressive, myself." The sign in front of Ronald Reagan's boyhood home in Dixon, Illinois. 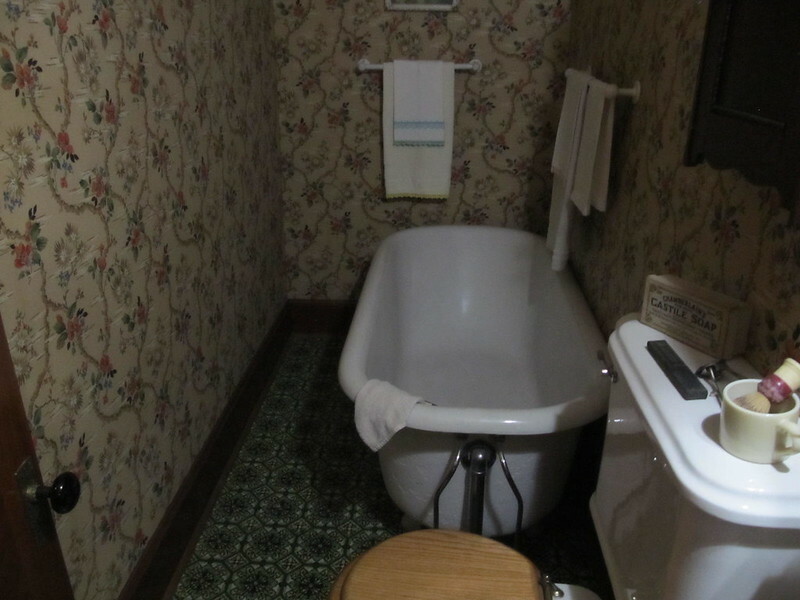 The furnishings had been lost in a fire, and the big cast iron tub in the small upstairs bathroom was the only original piece that remained. But, again, with the help of the Reagan brothers, the home was recreated with period furnishings that match what was there at the time. Yard said there’s one feature in the sitting room that everyone, especially kids, enjoy hearing about: a loose tile in front of the fireplace that Reagan insisted be kept during the restoration. The reason why was revealed when the President and his brother Neil came to the dedication in 1984. The original tile is now in the Reagan Library & Museum in California, but a copy keeps the story alive in Dixon. The loose tile under which Ronald Reagan hid his money from his brother Neil. Reagan Home Executive Director Patrick Gorman said a steady stream of visitors have come since its opening last year, from every state and 27 countries. But over the decades, Gorman said, the money dwindled and supporters moved or passed away. Time took its inevitable toll on the home, the old house next door that serves as a visitor’s center, and the rest of the small campus. So when Washington Post writer Roxanne Roberts wrote an article in October, 2016, that began "Ronald Reagan’s house is falling apart," she wasn’t far off the mark. Gorman said he was shocked at the museum’s state of disrepair when he took the director’s job that year, and set out to change that. "We put a roof on the visitor’s center," he said. "We sided it, (put up) new storm windows. We painted the home, got new storm windows for the home. Tuck-pointed the basement. You name it and we’ve done it." There was no money for all the work, Gorman said, but repairs couldn’t wait. "We went to the local bank and we took out a line of credit. It’s what we had to do," he said. "And we are in the process of paying it back. [The] board of directors is working on fundraising at this time, and I have all the confidence in the world in my new board." A sign in front of the Reagan Boyhood Home National Historic Site keeps track of fundraising efforts toward the cost of repairs. Even the grass is new, looking lush and well-cared for, thanks to a dedicated volunteer. The visitors’ bathrooms have been remodeled. And repairs continue on window frames, and other parts of the old structures. But there’s always more to be done. A life-long resident of Dixon, Gorman said this job is part of his commitment to helping his hometown. But there’s also a personal connection. 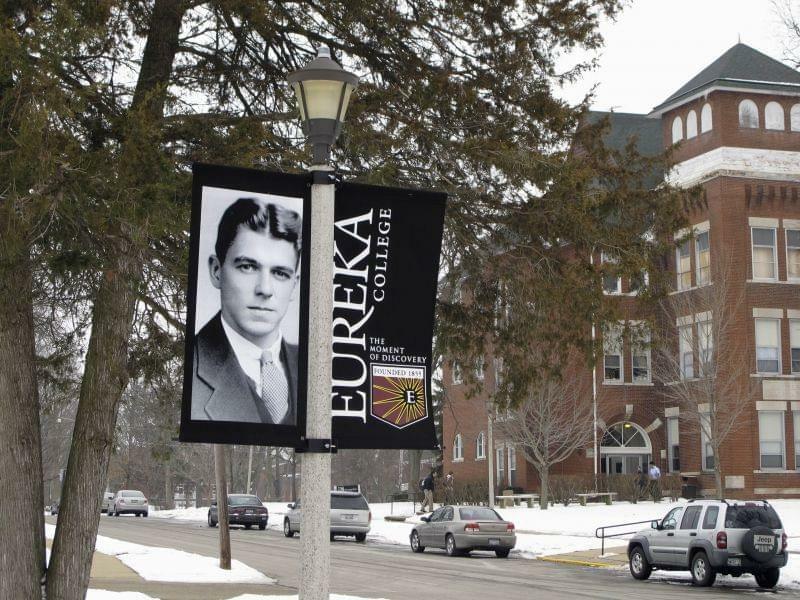 "My parents owned the second Ronald Reagan home in Dixon," he said. "So I grew up, you know, hearing about Ronald Reagan long before he was President — the actor. And it was kind of a big deal in my parents’ eyes that, you know, they owned the second home." And though most visitors won’t know it, there’s evidence of that connection in the Reagan Home: an old photograph of the future president that Gorman found in the museum’s collection. It doesn’t really belong here, he said, but he thinks two years of 50-hour weeks spent restoring the site entitle him to something. And it is a picture of Reagan as a boy in Dixon, after all. Perks, personal connections, and civic pride aside, Gorman said it’s important to keep up a place like this. That’s what people expect—and should expect —to see. "If I went to a presidential home," he said, "Grant’s for example or Herbert Hoover’s —and I’ve been to both —they look very dignified and very professional and that’s what I was striving to achieve here. And I think we’re nearly there. We’re nearly there." After all, he said, it’s not about politics, it’s about history, and a place the only U.S. president born in Illinois called home.